You may unload your group directly in front of the theatre on E. Harrison Street. 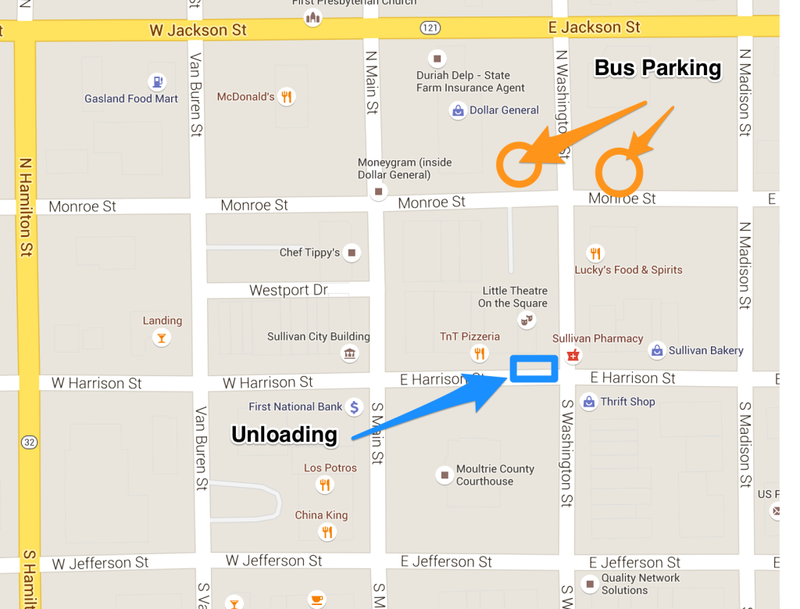 Please note that Harrison St. is a one way street going west in front of The Little Theatre On The Square. Free parking for your group’s bus or van can be found just one block north of The Little Theatre On The Square, on the northeast and northwest corners of Monroe and Washington streets.